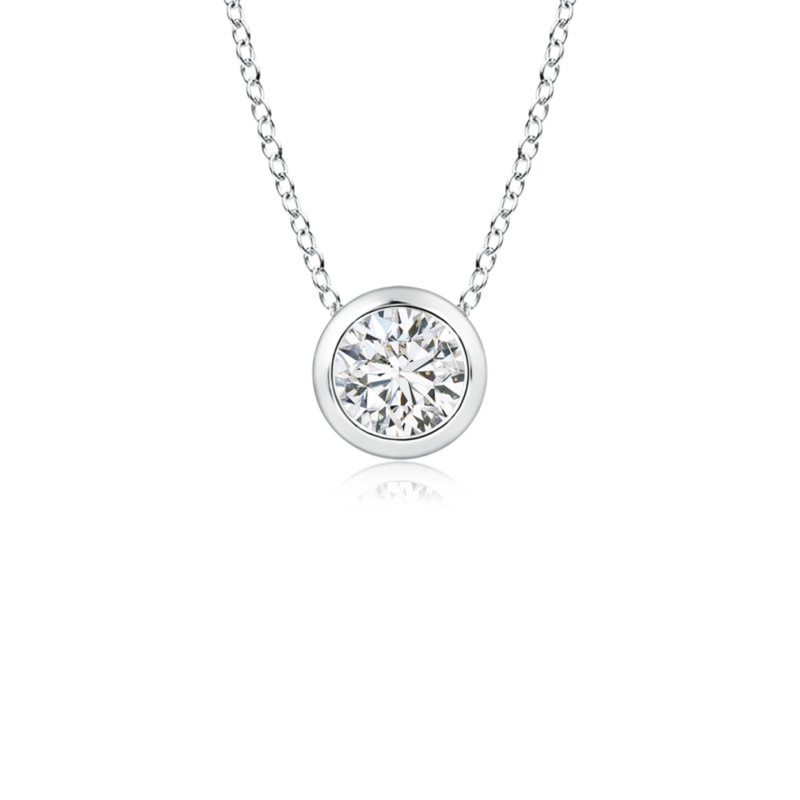 This diamond pendant necklace is a sophisticated beauty in 14k gold. A brilliantlyfaceted lab grown diamond is mounted in a bezel setting. The rounded rim enhances the pure sparkle of the diamond.